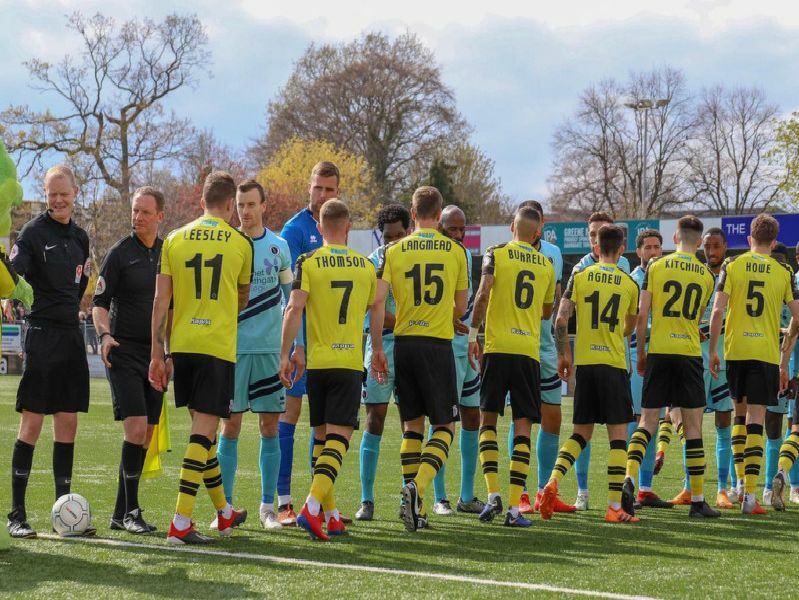 Harrogate Town were nowhere near their best when they entertained Boreham Wood at the CNG Stadium on Saturday afternoon. A ninth-minute header by Tom Champion condemned Simon Weaver's team to a 1-0 defeat, their third in six matches. PICTURES: MATT KIRKHAM. James Belshaw 7. Made a fine double-save in added-time to deny Bradley Ash one-on-one. Warren Burrell 6. Got forward a couple of times early on, however he wasnt really able to provide the extra width down the right that Town needed. Callum Howe 6. Looked a threat in the air in the opposition box twice in the first half but the hosts couldnt profit. Didnt do too much wrong. Kelvin Langmead 7. ADVERTISER STAR MAN. Two excellent last-ditch interventions either side of half-time kept his team in the game.